During ingest, access copies of digital objects are generated and packaged into a DIP (Dissemination Information Package). The user uploads the DIP to the access system. Please note the user must create the description in Qubit (or other access system) before uploading the DIP. The user will need to indicate part of the description's URL in order to send the DIP to the appropriate place in the description. An information management tool called Qubit is bundled with Archivematica as a default access system. 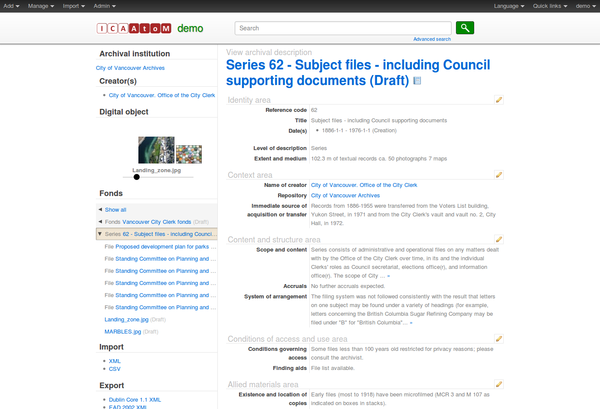 Qubit supports standards-compliant hierarchical archival description and digital object management. A small amount of sample data has been added to Qubit, including the Vancouver City Clerk fonds (figure 1). 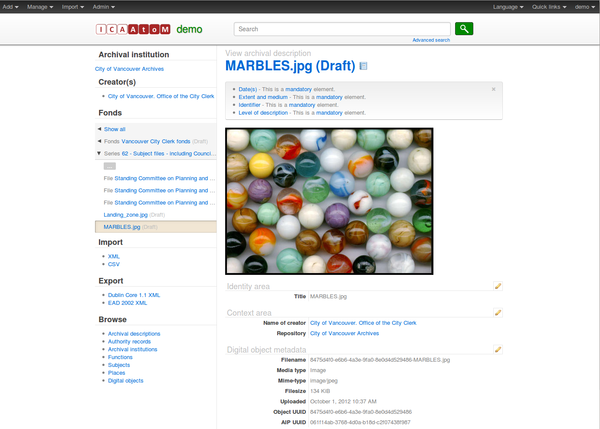 Qubit is the underlying management tool for the archival description tool ICA-AtoM. A user manual for ICA-AtoM which can also be used for Qubit is available at http://ica-atom.org/docs/index.php?title=User_manual. When the DIP has finished uploading, open the Access tab in the dashboard. This tab shows the AIP and its uploaded DIP. Click on the DIP URL to go to the uploaded DIP in Qubit (figure 4). If you are not already logged in to Qubit you will need to log in using the email demo@example.com and the password demo. 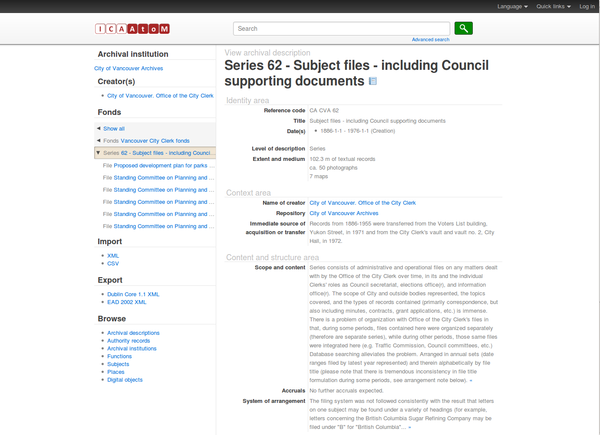 This page was last modified on 23 August 2012, at 13:34.